So, my new Priv arrived and I'm in the process of getting things set up on it. 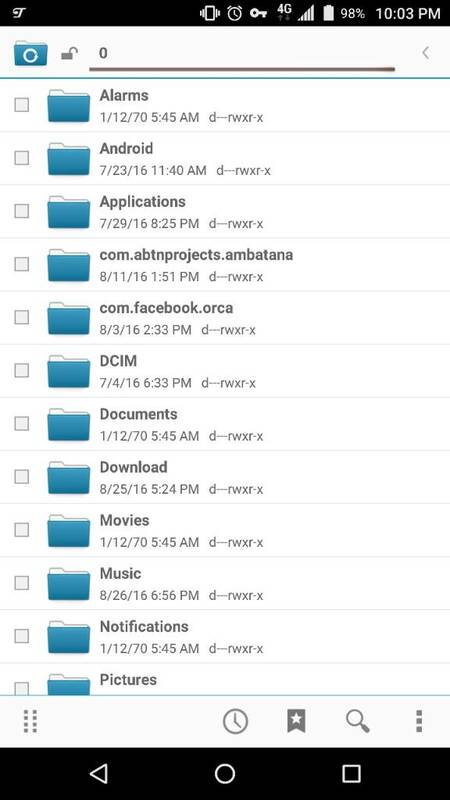 I can already see I will certainly miss the BB10 native file manager on my Z30. So I'm looking for recommendations would be interested to hear from any Priv owners that downloaded a file manager from the play store as to which one you prefer. Also, if you switched to a paid version after using a free version, do you think it was worth it? I like File Manager Pro. I use Solid Explorer, paid version. I think it is very good. Simple and easy to use once you get used to it. Access to everything on my device and all my cloud services. hbelkin, middbrew and tvst28 like this. I have been using two. Solid and I paid to get the usb-on-the-go module so that I could transfer files to/from a Tablet, camera and Priv. I did this a lot on my three week vacation to Azores and Madeira to backup, copy and move photos around. You do need a on-the-go usb cable. I'm also using the Asus file Manager. I use to use ES File Explorer but I'm a bit uncomfortable after reading some critical reviews of data mining. Similarly, the one mentioned in the reply above mine is associated with an outfit that has some critical reviews. It is a pain sifting through all the options compared to having BB supply apps that I trusted. Expecting sympathy from someone who calls themselves MisterAbrasive is, well, asking for it. For some reason, I can't quite fathom how to copy/move files between folders in solid. Or to/from an on-the-go drive. I wind up selecting stuff and then as I attempt to copy/move somehow I lose that focus trying to get the files to the new folder or drive!!!! Solid explorer is the app I prefer. Asus file manager for me. Pretty much have tried them all and it's been the best in my opinion. Solid explorer is a close second. pdstevens8 and skinnymike1 like this. I got the tip from someone here. Turn your phone to landscape. Find the file you want to move and then tap and hold the file and drag it to the other side. You will have the option to either copy or cut. Then paste or move to the folder you want. That's the only sympathy you get from me. Ecm, FF22 and skinnymike1 like this. Thanks for that. I guess it is more convoluted in Portrait mode. skinnymike1 and misterabrasive like this. +2 Asus. I does have all the functions of bb10 file manager with somewhat natural feels of android that goes along well with other programs installed. I don't recall, does Asus support usb-on-the-go so that I can read/write a thumbdrive? I have an ASUS tablet that won my comparison trials. Due to that, I've naturally been using the ASUS file manager and have found it to be a very user friendly and efficient FM. I was trying ES File Explorer and Solid as well, but after some very incriminating reviews and apparent data mining complaints, I've deleted them, basically for the same reasons as F2, also due to all the bloat and ads ES has. ASUS come highly recommended by most android forums for it's clean interface and no ads or bloatware. That and cloud support as well, so they say, I haven't tried those features yet. Thanks everyone for your suggestions. It appears that Asus and Solid are the top fan favorites around here. I'll try them both and see what works best for me. I really appreciate hearing everybody's input on the subject. Thanks F2 - when I started looking into this, it seemed that ES File Explorer was the one to beat, but the data mining issue was one of my top concerns, so I appreciate you bringing that to light. You know, it's a relatively uncomfortable feeling leaving what seemed to be the safe confines of the BB10 cocoon and venturing into the big bad Androidshpere. It's like the road is fraught with peril every step of the way. Lions and Tigers and Bears! OH MY!!! FF22 and misterabrasive like this. I would recommend FX file explorer or Total Commander. I used to be a fan of ES, and I would still probably use it if it wasn't for the ads that come with it. ASUS file manager takes up 49 MB of storage, ES 45, FX 25 and Total Commander only 5 MB. I don't like apps which are bloated without a good reason and I am unable to see a good reason here. Both FX and TC support "dual view" in both landscape and portrait. TC is a bit confusing at first, but it's very good once you get the hang of it. I've been using it on my PCs instead of Windows Explorer for 15 years whenever I had a task more serious than copying two or three files, but I do feel like FX has more features on Android. They'll probably both reside on my phone until further notice. And they can both access USB OTG drives without any issue. I don't think I've seen a file explorer that can't do that. Verizon is run by the Wicked Witch of the West. JeddClampet and middbrew like this. Yup, this. Works great. It makes moving files from Internal to mSD a snap. I don't think anyone has mentioned being able to bookmark forlders within the app, or being able to place shortcuts on the homescreen. Both are big time-savers for me. I went through about 5 file managers before settling on Solid Explorer. Being able to access my cloud services and my home network is really convenient. middbrew and Fret Madden like this. Ya I wouldn't go as far as saying it blows the BlackBerry FM away but it's definitely the best substitute I've found on Android. Nothing beats something thats integrated into the OS right out of the box as far as I'm concerned. And I found the BlackBerry FM to be more intuitive then Solid is. Never the less Solid is (no pun intended) a solid choice.